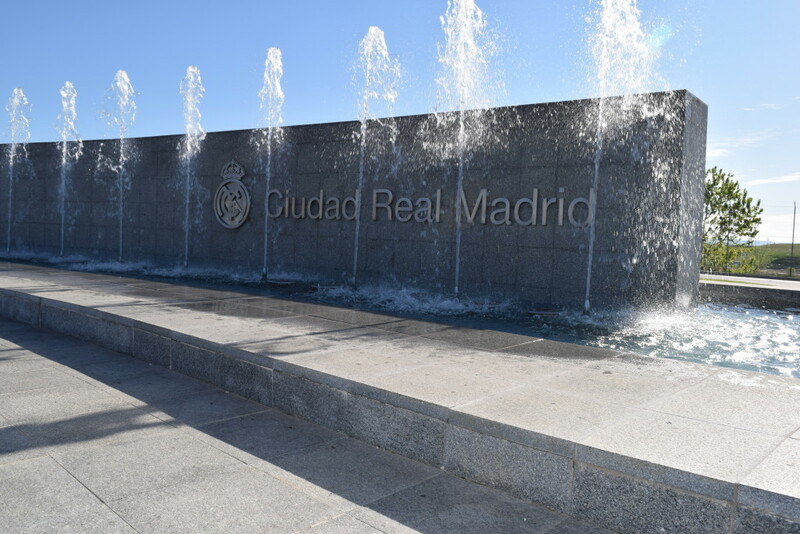 Several Worplesdon Rangers players were fortunate enough over the Easter weekend to be part of a 160-strong delegation of young footballers from the UK to visit FC Real Madrid’s training academy at Valdebebas in Spain. The arrangement was one of two Pro-Tours organised this year by Coerver Performance Academy, with whom the Club has growing links in Guildford. On Good Friday evening, the itinery commenced with a welcome reception at our hotel. The players were given a thorough immersion in the Real Madrid culture and ethos by Scott Wright, Coerver’s UK Director. Players listened intently, fascinated as they learned about the number of hours’ sleep they were expected to get to perform optimally out on the training pitch, the Spanish food they would be required to eat over the weekend and the importance of hydration in the warm Madrid climate (25C in the shade that weekend!). One of the highlights of Scott’s presentation for the young players was an ‘ideal urine colour indicator’! On Saturday morning we journeyed by coach with great anticipation to the Real Madrid training centre, where the players were greeted by their Spanish coaches with a ‘hola!’ and divided into groups. 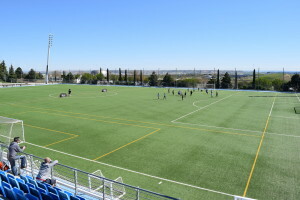 Valdebebas was unbelievable – both in terms of its actual design and the facilities that it offers what is arguably one of the best teams in the world at present. The vast, state-of-the-art complex is built in successive tiers, so that from the youngest academy age group up to the senior team, players are always (literally) looking upwards to the next level they can aspire to. As one might expect, security was very tight and despite us all keeping our eyes peeled, the nearest we got to star-spotting was an indication by one security guard of Zidane’s Audi parked in one of the nearby car parks! Parents watched and filmed as the players were put through a total of 4 hours coaching Spanish-style (with breaks) in the sun. They had all been presented with Real Madrid drink bottles at the outset, which they were able to fill pitch-side – and did so frequently. Needless to say, there were some red faces, arms and necks at breakfast the following day! The day included a tour of the facility and an opportunity to try our basic Spanish with some of the catering staff. Saturday evening gave us an opportunity to sample the delights of tapas in downtown Madrid. 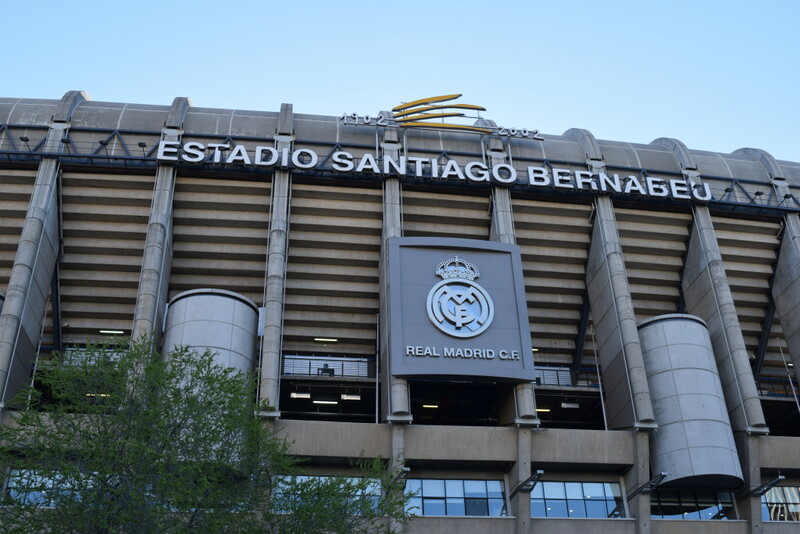 The highlight of Easter Sunday was a visit to the Santiago Bernabéu Stadium to watch Real Madrid vs Granada. We arrived by coach in time for the pre-match build-up outside the stadium and like thousands of others, lined the streets with our cameras to wait for the arrival of the players’ coach. It was a grand affair – CR7 and his team-mates were driven down the main street, led by a group of police outriders galloping on horseback at speed. The match itself was a record-breaker (9-1 to Real) and saw Cristiano Ronaldo return to form by scoring not one – but five – incredible goals! His ‘Galácticos’ celebration after each goal would doubtless be finding its way back to the UK after the tour! On the Sunday afternoon, we returned to Valdebebas by coach for the second of the two training sessions. The players were presented on arrival with a pink Real Madrid training kit which they proudly wore out onto the pitch in readiness for their session. More coaching followed, although the running time had to be cut somewhat as the sun was still fierce and there were lots of tired legs out there! The afternoon ended with the Coerver presentations, after which it was back to the hotel for some of that nutritious paella and (for the adults at least) the odd Spanish beer or two. Easter Monday saw us check out of our hotel and return by coach to the Bernabéu; this time for a stadium tour. 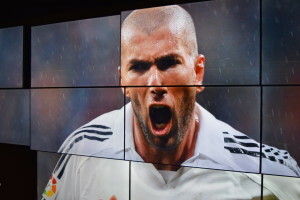 The stadium has one of the biggest and best interactive museums that most of us had ever witnessed. The trophy room – or should I say corridor – seemed to go on for ever – and quickly instilled in visitors the sense that this club is all about winning silverware. The tour took in the usual highlights: press room, changing rooms; pitch-side and of course, ending with the inevitable MegaStore. 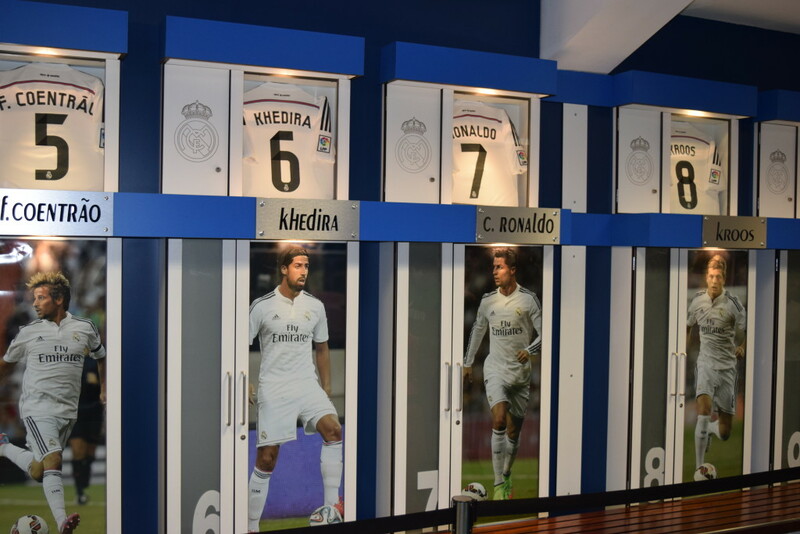 Needless to say, the opportunity to be snapped standing next to CR7s changing-room locker proved popular, not least as it was personalised with a life-size colour photograph of the man himself! Back outside for the final Coerver group photograph and then it was time to depart for the airport and the inevitable return to a chilly Heathrow Terminal 5! Congratulations go to the Coerver UK team who organised this event. It was a memorable experience for players and parents alike and discussions have already begun about the 2016 Pro-Tour next Easter to a certain Bundesliga club!